Trabuco Canyon is an often misrepresented area in South-East Orange County, commonly known for the zipcode 92679 and 92678, and known for being very rural and the communities here associating themselves with the canyon. Technically Trabuco Canyon is an 'unincorporated' community and the neighborhoods part of it are in the foothills of the Santa Ana Mountains, and partly lies within the Cleveland National Forest. The Trabuco Canyon Real Estate options are in several communities that include: Downtown Trabuco Canyon, Live Oak Canyon, Holy Jim Canyon, Robinson Ranch, Dove Canyon, Walden, Wagon Wheel, Coto De Caza, Portola Hills and some other areas of Rancho Santa Margarita. Many equestrian communities can be found here as well. Search all Trabuco Canyon homes for sale currently listed on the MLS or read more about the homes in the Trabuco Canyon communities below. Please not that because Trabuco Canyon is often mistaken, we have different links to the communities that are part of Trabuco Canyon, so you can find them divided by area. There's many different communities in Trabuco Canyon so we are dedicating special pages for them. The communities in Trabuco Canyon pride themselves for incorporating the natural sorroundings into the designs. From small rural cabins and homes to large equestrian estates, to tract homes, there's plenty of real estate for all kinds of tastes in Trabuco Canyon. 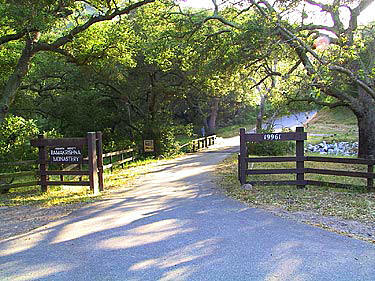 The area of Trabuco Canyon between Cook's Corner, Trabuco Oaks Drive and the rugged Trabuco Creek Road is considered the center of the greater community. The neighborhoods here are more rural and seemed more rustic with peaceful streets lined with oak trees and a favorite for the horse lovers or hikers. A local landmark is the Trabuco Oaks Steak House, which was a favorite restaurant of past President Richard Nixon.